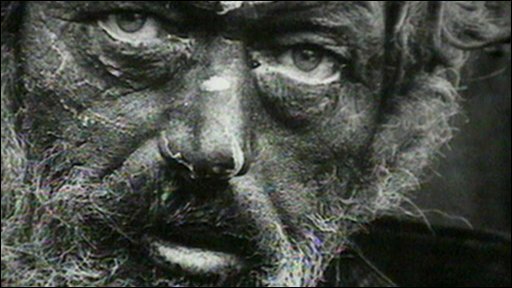 Don McCullin, an internationally-regarded British photojournalist particularly recognised for his war photography and images of urban strife, examined the underside of society - the unemployed, downtrodden and the impoverished - in this moving 1989 film for Newsnight. Newsnight's librarian Adam Gotch chose this film because it was one of the earliest examples of the programme using a famous person as the reporter. Don McCullin had approached Newsnight because he wanted to tackle the homeless problem and even though he had photographed many awful situations he was still deeply affected by what he found and his compassion is really tangible. Originally broadcast on 24 October 1989. A special programme to mark Newsnight's 30th anniversary will be broadcast on Saturday 23 January 2010 at 8pm on BBC Two.